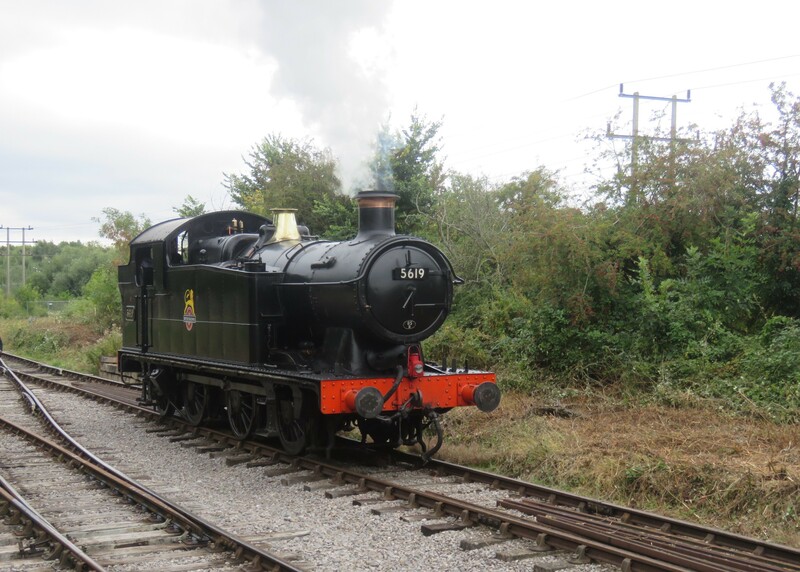 Former GWR class 5MT 0-6-2 tank 5619, in the process of running round at Taw Valley Halt. Photographed by Adrian Brodie, September 8, 2018. Added to the photo archive by Adrian Brodie, September 8, 2018. Railroad: Swindon & Cricklade Railway (UK).